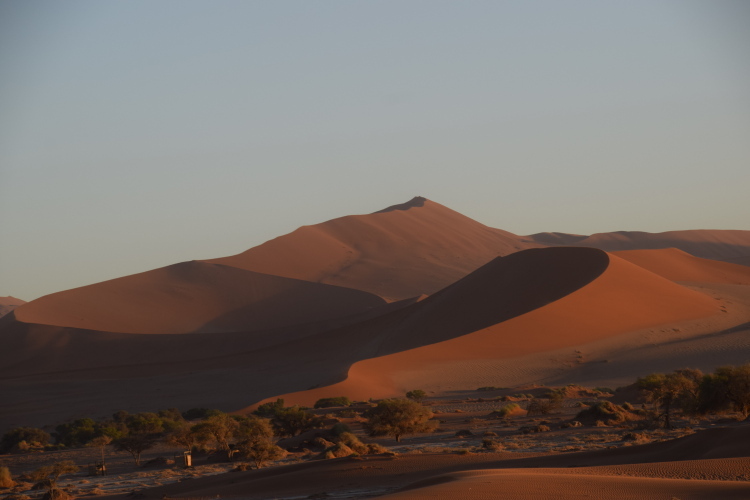 The ancient Namib desert is exactly that, truly ancient. 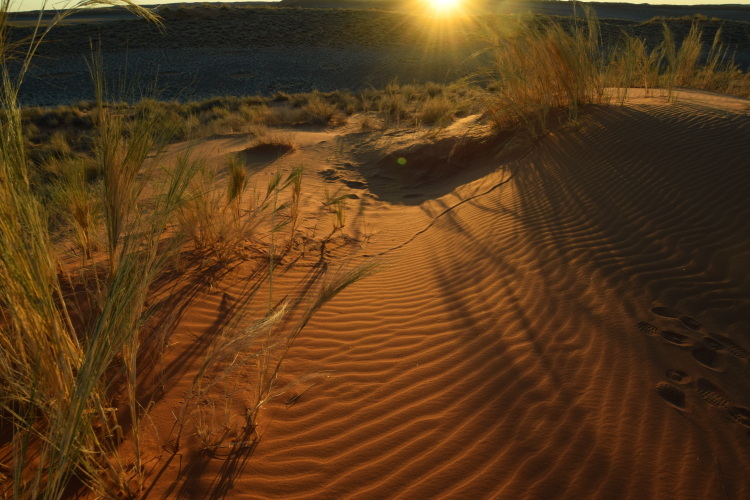 Unlike other deserts which have formed over time, spreading as a consequence of human activity, the Namib has been desert for 5 million years. 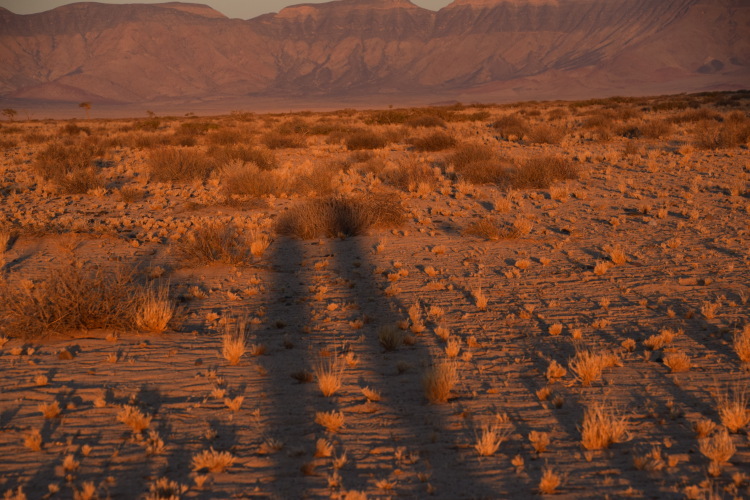 Small, but perfectly formed desert, ancient beyond imagination. 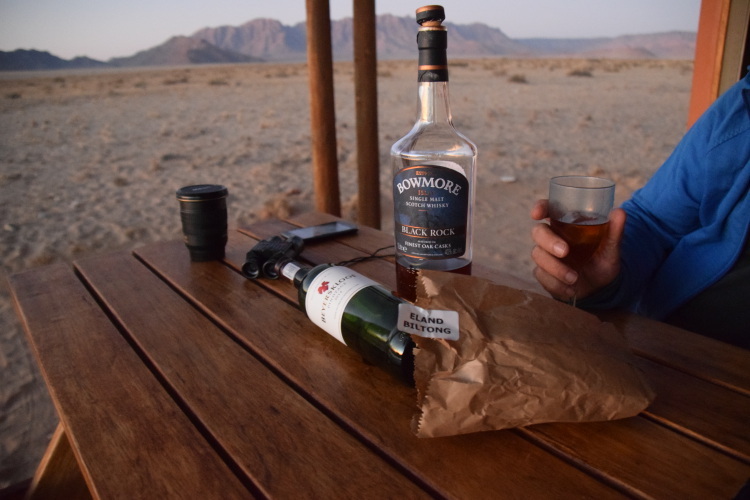 Our first night in the area at Desert Camp has to be the best “camping” experience ever. 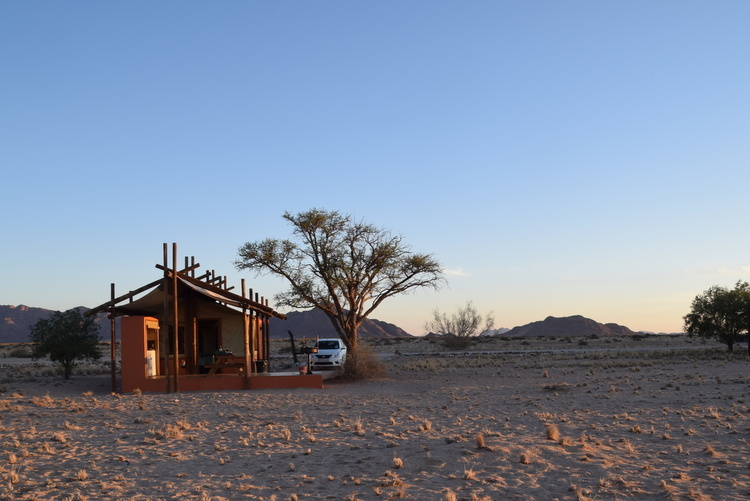 Self catering “tents” – I guess these days it would be called glamping – each with a concrete pad , from which rose a concrete ensuite bathroom, with a substantial tent pitched over the top of it all. Very isolated, very beautiful… With the downside only becoming clear later that night when the wind started howling and rattling every zipper pull on every window! But meanwhile, the service came with a “kitchen box” available on deposit from reception, with plates, cups, cutlery… even wine glasses! And an order list for a “food bag” delivery, Namibian style. We ordered eland steaks, boerewors, potatoes wrapped in foil… plus breakfast supplies of bacon, eggs, tomato and onion! Best of all, when the bakkie pulled up with the delivery just after sunset, the delivery man built the fire in the braai on our stoep, and lit it for us. Now that’s service! 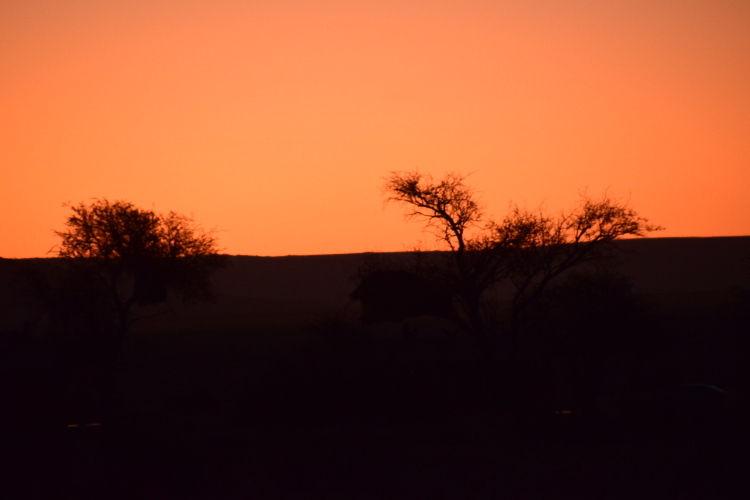 By then, Peter and I were very mellow, having wandered out into the veldt for a good view of the sunset, red wine in one hand and camera in the other. At least, until we were grumped at by the Frenchman in the next tent, who, unnoticed by us, had set up a camera on a tripod, presumably taking a time lapse series of said sunset. Oh well, now has two romantic old people in his shot! That night, we talked long and late about what might have been. Different choices, where would we be now? Would we be more regular visitors to this vast and vacant place? Probably not, we concluded… but who knows? It is a privilege, we decided, to be as comfortable as we are with past choices, and also to be able to travel so far and wide to explore the “might have been”. 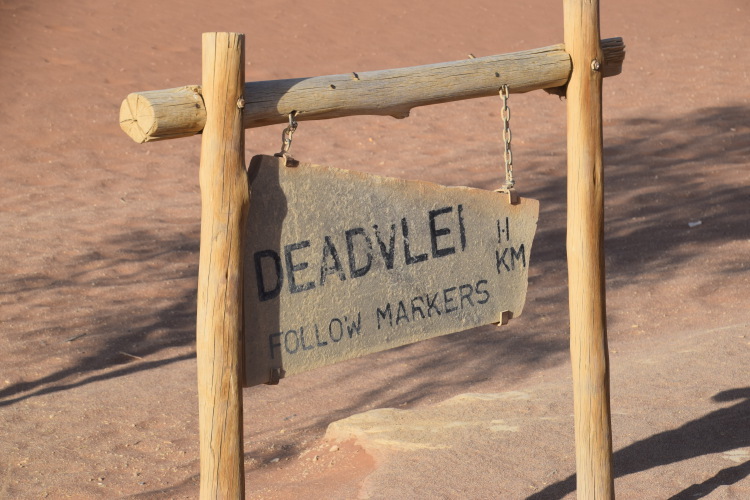 In the morning we left early, and arrived at the wonderful Sossus Desert Lodge – inside the national park boundaries – in time for lunch. 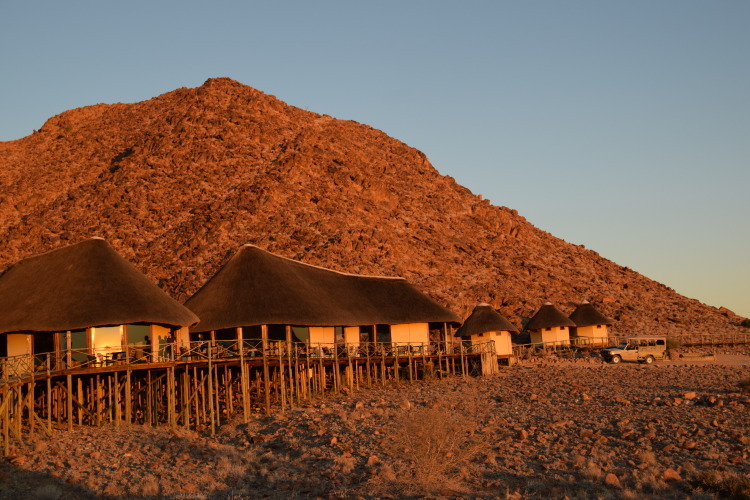 Now this really is the luxury version… bungalows built mainly from wood and canvas,but with more substantial fittings, and a pair of loungers in the window from whence we could survey our own waterhole. 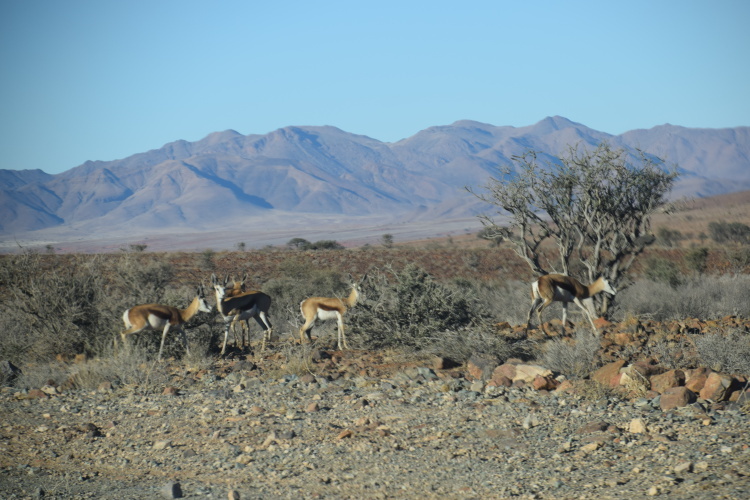 Here we met the fabulous and unfortunately named Sammy – our guide and ranger for the sundowner drive that evening and the VERY early morning drive to the Vlei! We also met some of the more annoying travellers we have encountered, reaffirming why we don’t do cruises or group tours! Being trapped on a drive with a truly ignorant Englishman – what’s a wildebeest? is it a dog? 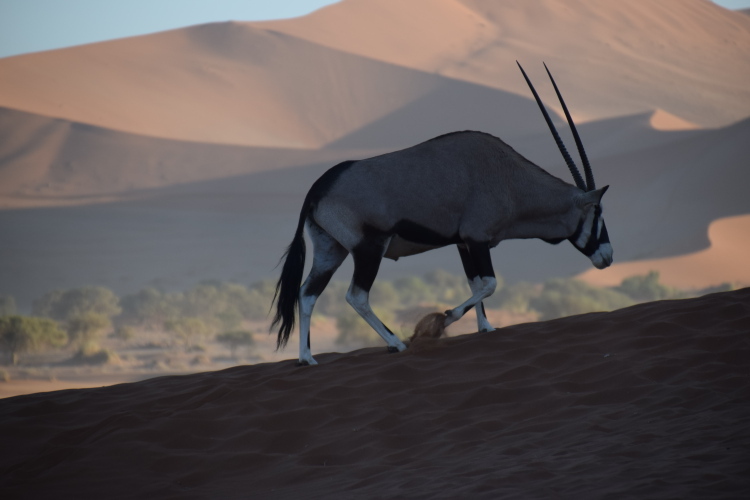 – on the first drive tested my patience, but didn’t detract from the excitement of seeing a family of bat eared foxes (too far in the distance for the camera to do them justice, but a joy to watch through the binoculars). 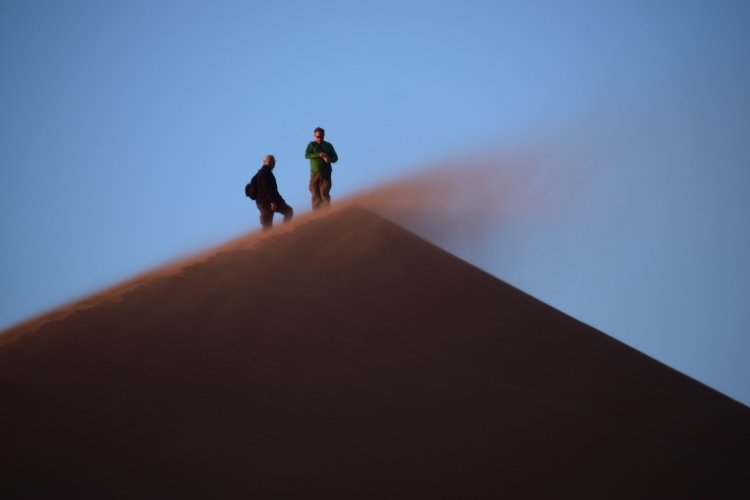 Sundowners on our private dune were spectacular – though surprisingly teetotal! 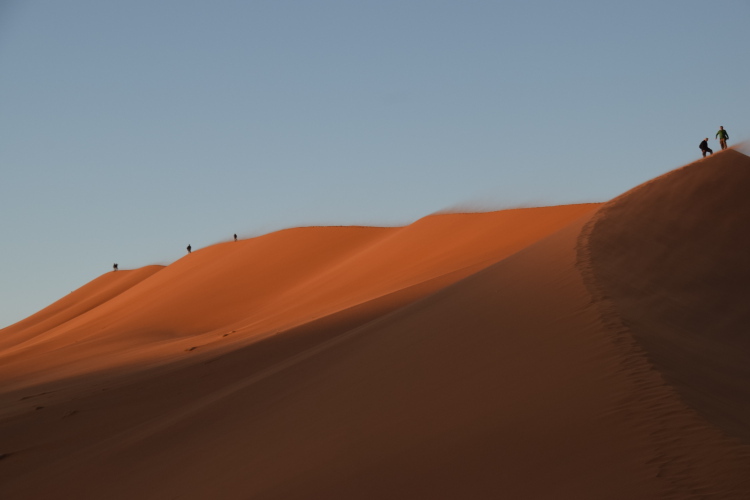 Of course, none of this in any way detracted from the amazing spectacle – first the dunes themselves at sunrise, and then of Dead Vlei. 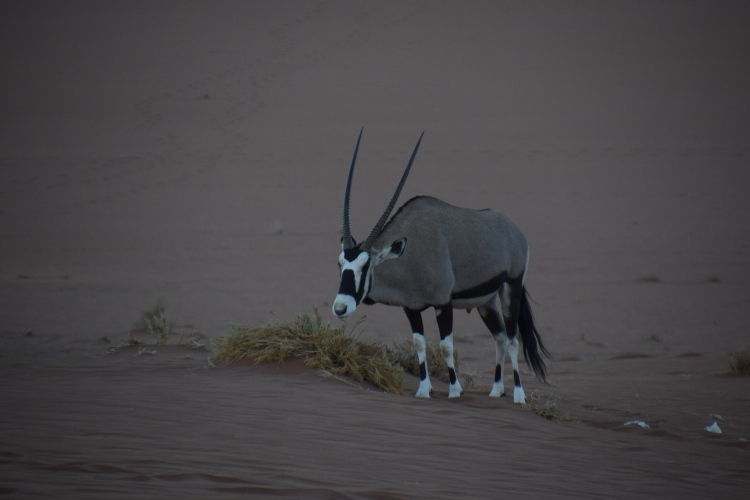 As we crested the dune into the Vlei, there he was, this beautiful creature reinforcing that although the vlei itself may be dead, this is a living desert that sustains life both large and small. Afterwards we retired to our bungalow for a mid morning nap… the 4am wake up call for a 430am departure having taken its toll. Mind you, absolutely worth it, and the very reason we moved from Desert Camp into the Lodge. 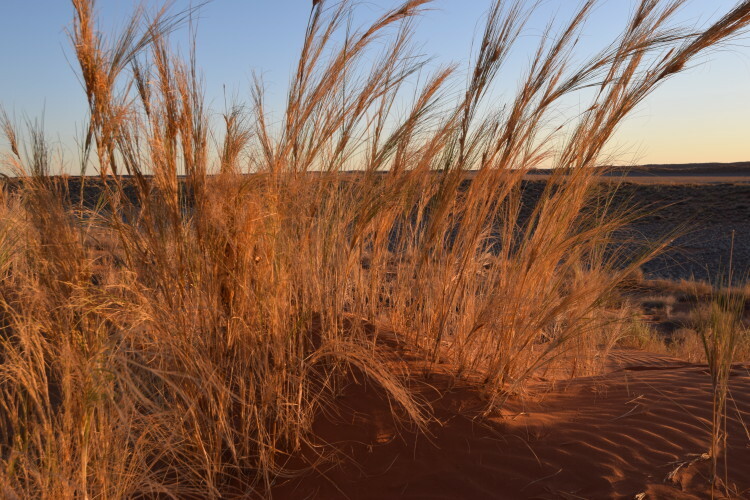 You see, only those inside the park overnight get to actually see sunrise at the dunes, an hour’s drive west of the gate, which only opens at 630am! And as the sun rose, so did the wind. 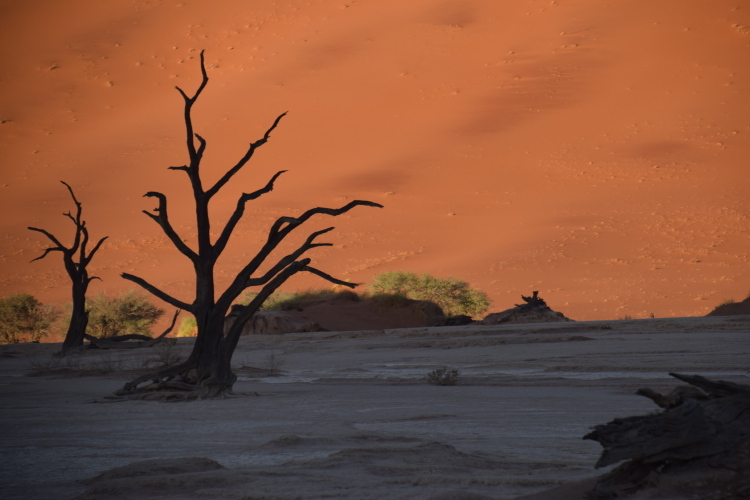 It blew and it blew and it blew – fine sand and fine lime (from the limestone in dead vlei) filled everything. 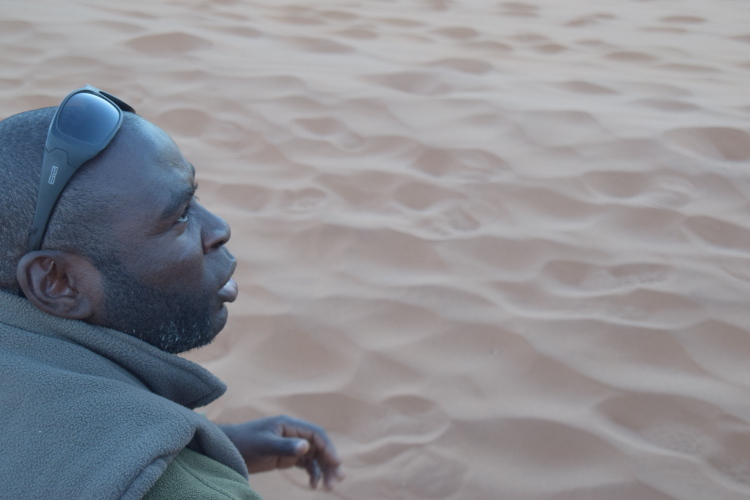 Even my ears were full of sand! Heaven knows if my camera will survive. 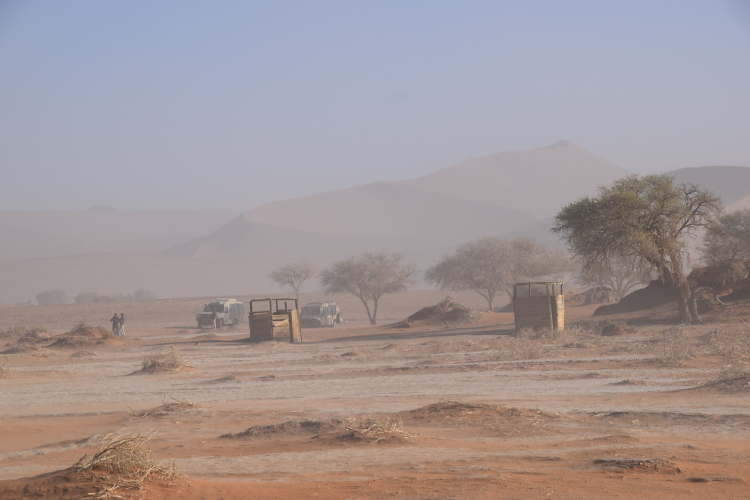 By the time we got back to the vehicle, you could barely see the dunes. But I couldn’t resist taking this photo of the toilets (specially for a special person in London – you know who you are). Longdrops in true African style, and the one on the right doesn’t even have a door, just open to the sands! When you gotta go, you gotta go! The next morning as we left early for our longest drive of the trip, there was a long queue of cars and buses waiting for the gate to open, but the sun (and the wind) was already well up.